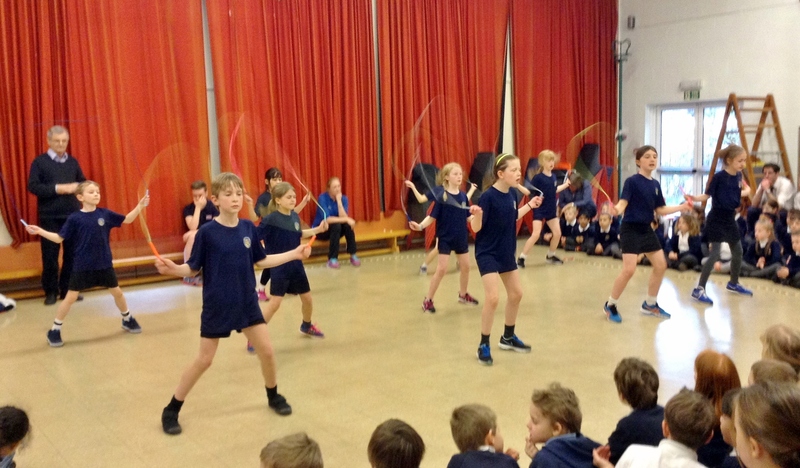 Skipping Workshops promotes skipping as a healthy form of exercise throughout the UK. 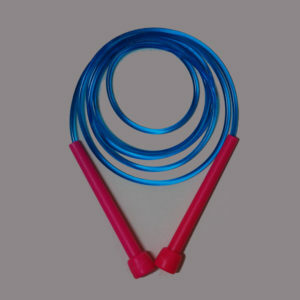 We organise a national skipping competition, the ‘National Skipping Challenge’, visit hundreds of schools a year with our proven and high-quality skipping workshops, and we also sell gymnastic skipping ropes. 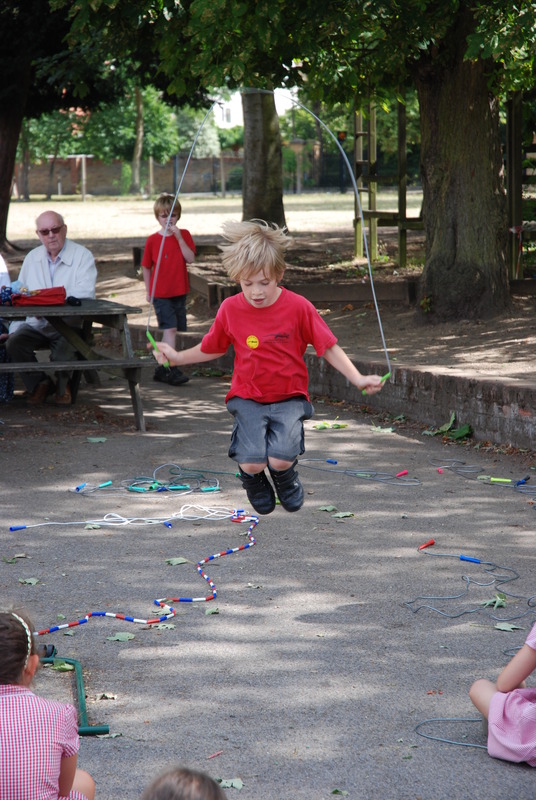 Skipping is a great activity for people of all ages, but especially children. 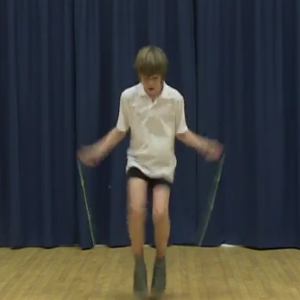 We have found that skipping improves fitness, coordination, cooperation, and behaviour. 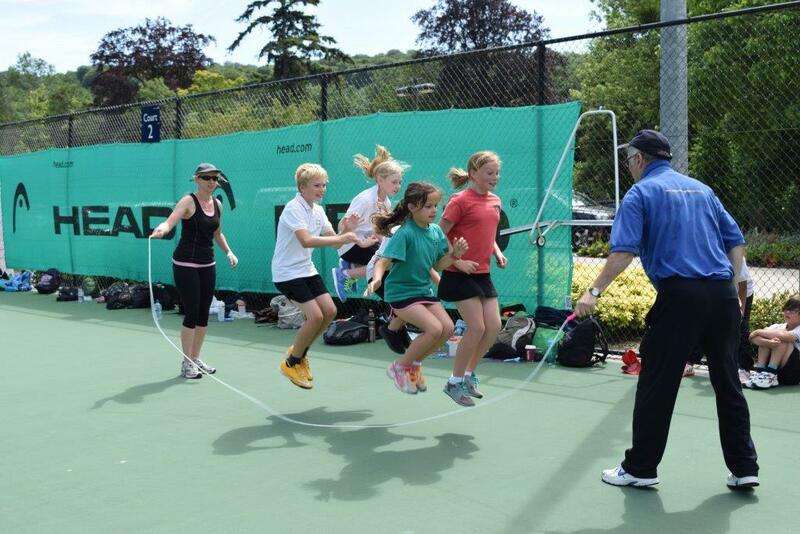 Grab a skipping rope and join us! Most of our work is done through our visits to primary schools across the UK, but we also organise regular skipping clubs, and work with youth groups and play-schemes. 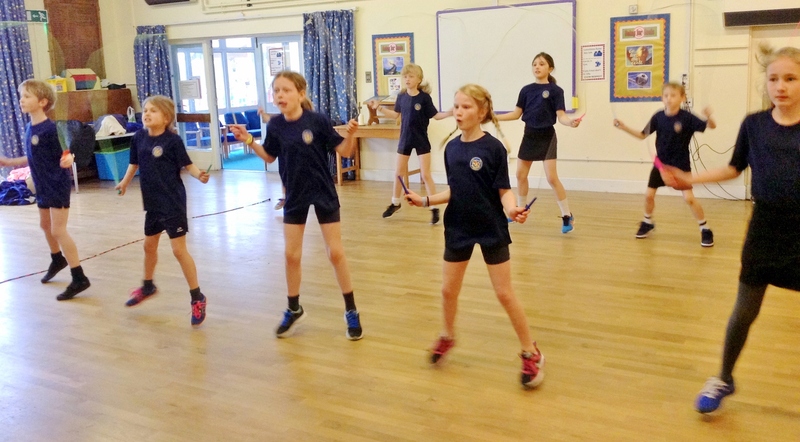 We can tailor our daily schedule to suit the size of your school or group, ranging from special PE classes for every class in a school to our free skipping demonstrations. Skipping is an ideal form of exercise, as it quickly gets the heart and lungs working hard. 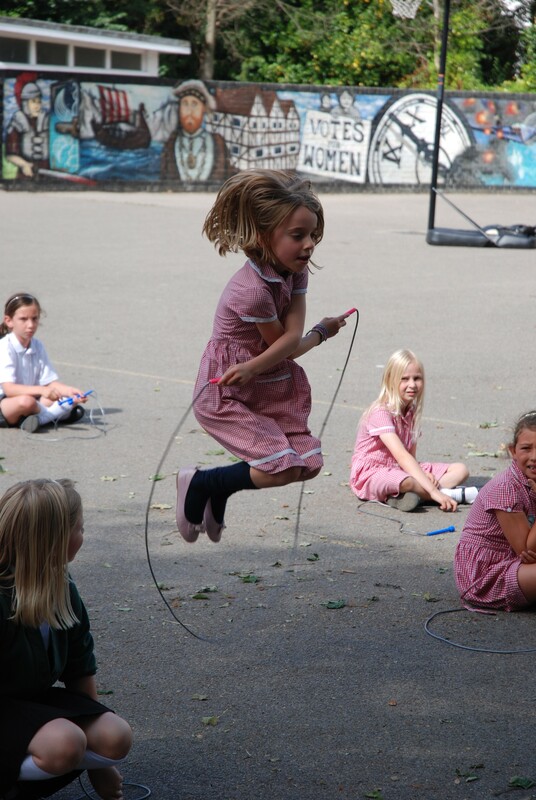 It is something that can be done on the playground or in the school hall, and doesn’t require any expensive equipment. 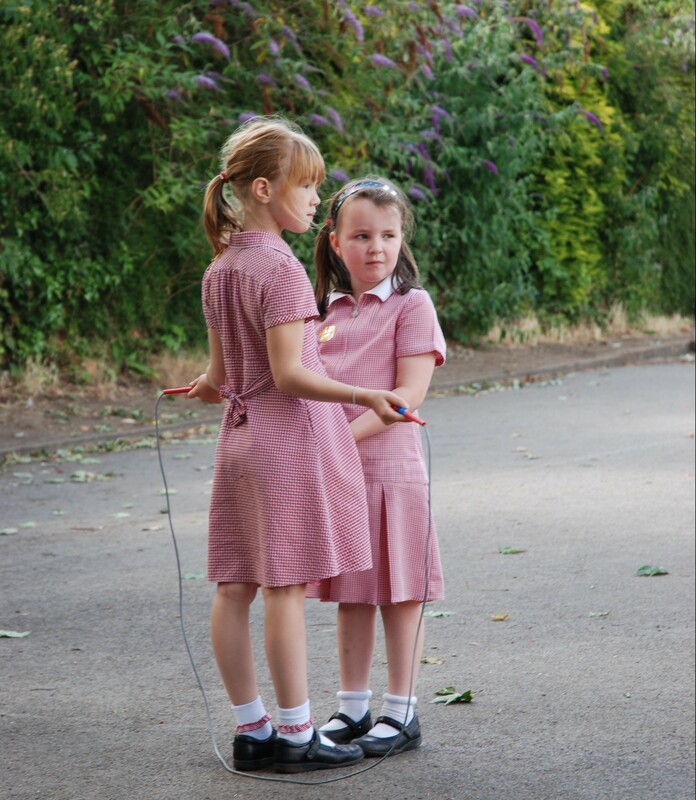 Skipping helps develop coordination and cooperation skills, and is a form of exercise which can be enjoyed by all. National Skipping Day 2019 will be Friday March 22. We already have 23,850 children from 123 schools taking part in our ‘1000 Skips in a Day’ challenge. All schools taking part will get a final update well before the day itself. 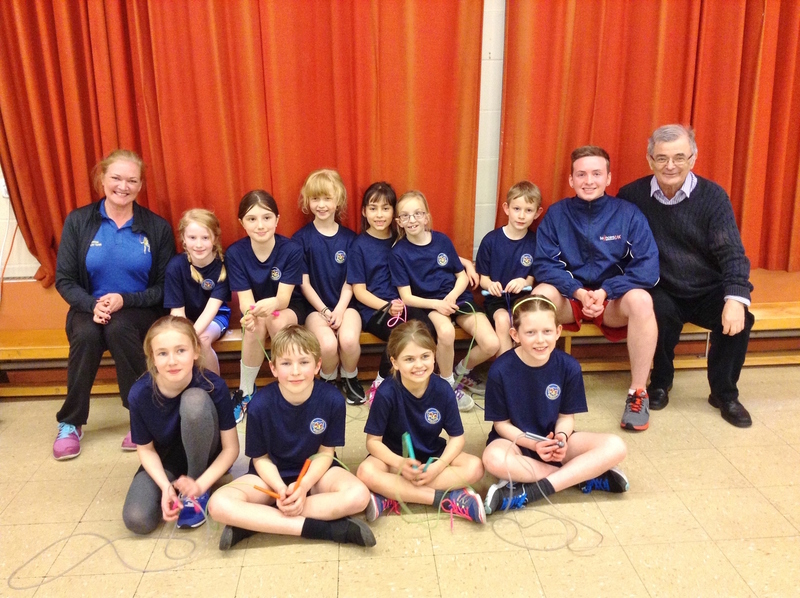 Last year’s event was a great success with 172 schools and 42,350 children enjoying healthy exercise through skipping. Read more. 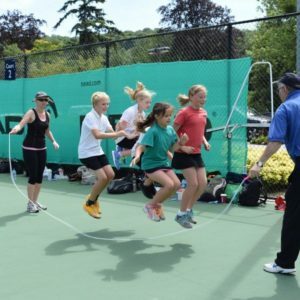 National Skipping Day is an annual event, organised by Skipping Workshops and sponsored by Nortech Jump Ropes, where children from across the UK celebrate skipping as a healthy and fun form of exercise. Our ‘Learn to Skip’ DVD is now on sale! Full of tips and ideas for getting children started with skipping, this DVD takes you through the introductory footsteps, and finishes with some of the most popular skips of all, including the Crossover and the Pretzel. 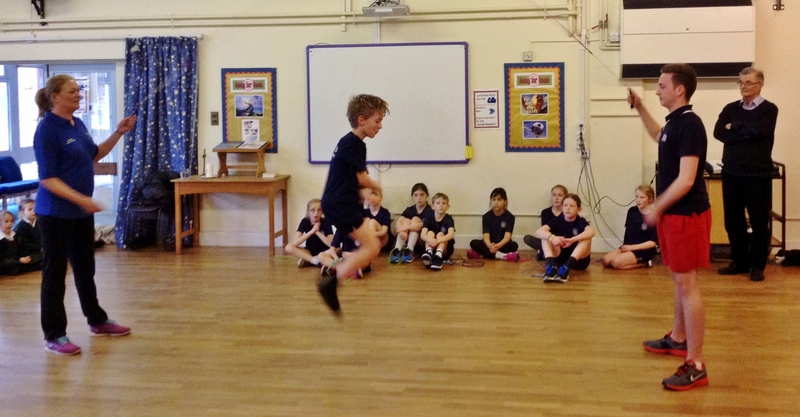 What a fabulous skipping workshop day we had with Jamie yesterday. 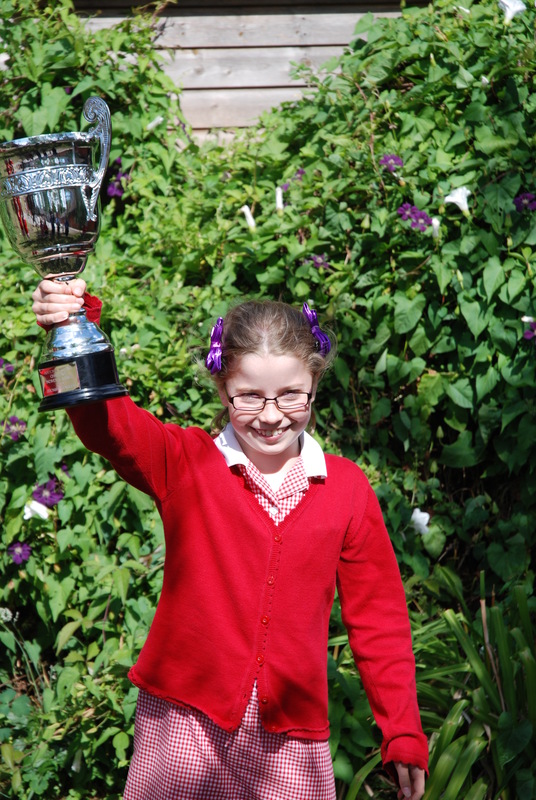 The children enjoyed the day and it has inspired them (and their parents and teachers!) to take up skipping! Jamie was fantastic. She pitched all the workshops well and had good control over the children. She was friendly, enthusiastic and quickly developed a positive relationship with the children. Thank you so much. We shall definitely be booking up a follow-up! Children at Northway Primary truly enjoyed their day with Anthony. He was very knowledgable, charismatic and engaging. Once again thank you for coming to the IOW and enthusing our children with their skipping. They were all raving about it! Just wanted to say a BIG thank you again for today. The children had a great time and were clearly inspired! The energetic staff training was enjoyed by all who were then fully enthused to support the children in their workshops a fortnight later. We were fortunate that Skipping Workshops could provide us immediately with a rope for all children. 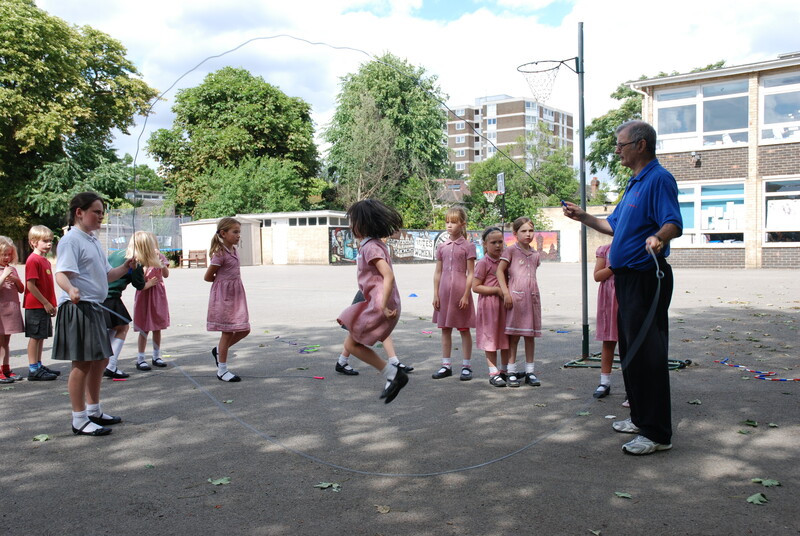 We had much fun participating in National Skipping Day and the children took the ropes home that day. One Year 2 boy, before the holiday, said that he wasn’t going to play as much on his ipad because he wanted to skip outside. Thank you Skipping Workshops in helping us promote a healthy lifestyle. We had a fabulous day doing National Skipping Day. We did data collection in mathematics lessons and presented the data for a display. All the children loved it.